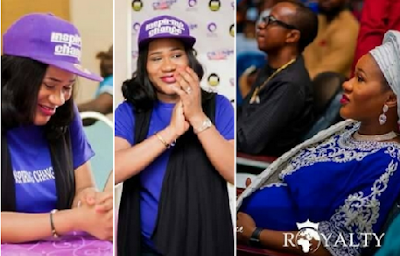 Tuface’s Ex, Sunmbo Ajaba Adeoye is a mom again, we can exclusively report that. The mom of two gave birth in the US this morning where she welcomed another baby boy. However, this will be her husband’s first child, Pastor David Adeoye. Worthy of Note: Pastor Adeoye has been looking unto God for a child for years now. In his first marriage, before losing his wife, they both waited on the Lord for many years without a fruit of the womb before he met Sunmbo and married her in 2013.